While I haven't played a full Ys game before, I've always heard good things about the series, but I never knew why it was good. Trying the Ys VIII demo and its highly explorable map as a fan of exploration in recent JRPGs really got me curious about the Ys series with its many collectibles and multi-floored areas. The demo doesn’t tell much about the story or its characters (probably for the best as I hear its localisation is getting an update) and it instead seems mostly focused on showing off its quick action combat and interesting landscapes. So far, these aspects made me really want to try more with smooth gameplay that was a fun peek into the full game, just like a demo should be. 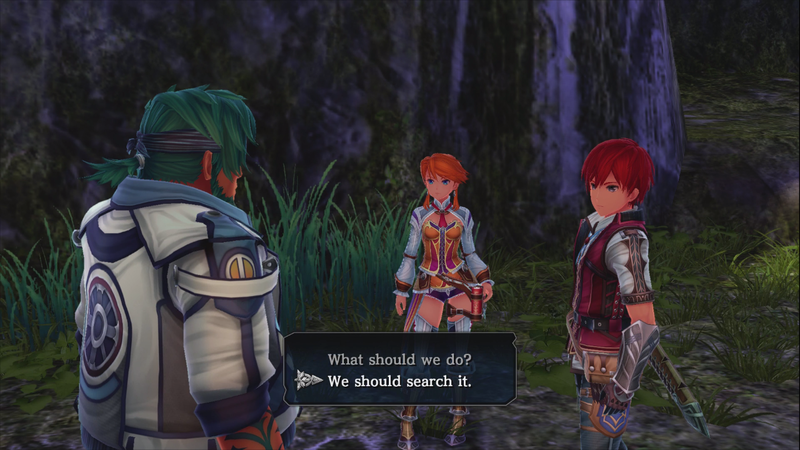 Ys VIII’s main character is Adol Christin, an adventurer who is accompanied around the demo’s interesting areas with his two companions. 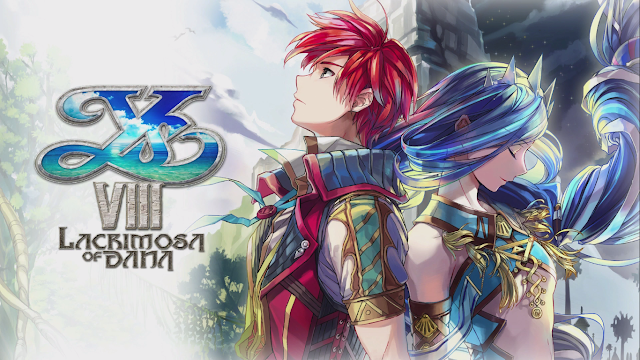 According to Ys VIII’s website, Adol was on a boat heading to another place when it got attacked by a sea creature and after that, he found himself stranded on a cursed island with fellow castaways and his adventure begins. 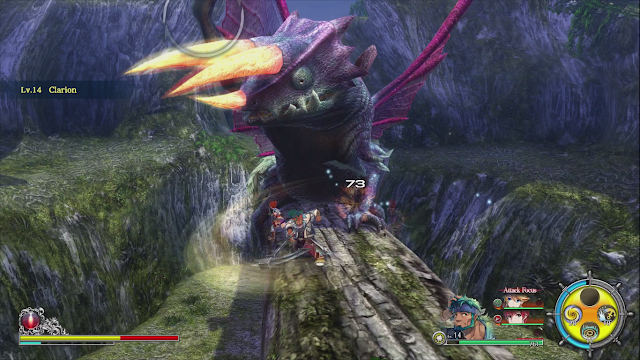 The demo itself very barely scratched the surface of Ys VIII’s story, with only a few brief conversations that mostly talk about the area the demo is set in vaguely. 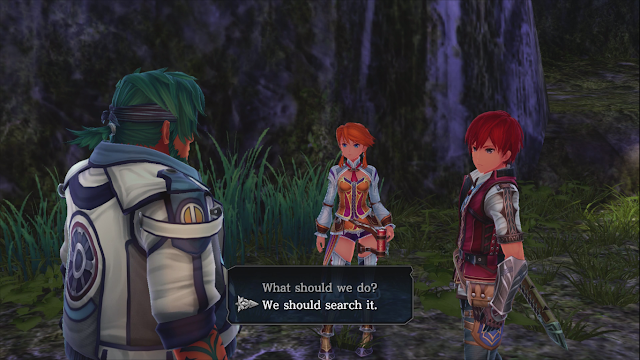 Ys VIII’s demo does seem to be more about exploration above all, which seemed fitting to the dialogue choices for Adol and since it was a demo, I'm sure the real story has more to it than what I saw. 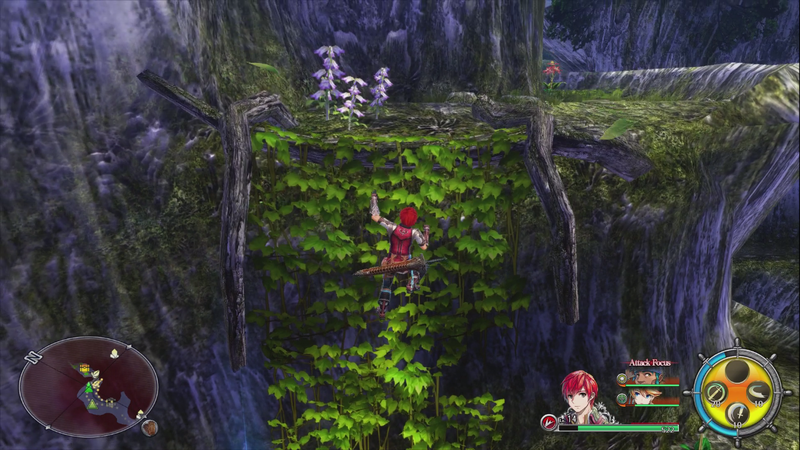 Ys VIII’s demo is set in an interesting area that combines an island and forest-like aesthetic. As a fan of exploration games with extra elements recently, when I made my first step into its world, I found a cooking mechanic to make a helpful and fish-y healing item for my adventure that let me know quickly that this is the kind of world I like to explore. That and the rest of the world really did capture a spirit of adventure with lots to do, thanks to multiple floors being explorable in most areas and the party eagerly telling me where a treasure chest regularly making me want to stray from the main path and look around a little. Whether you keep on the straight and narrow or decide to look around, the peek into Ys VIII's beautiful world felt like it was full of little surprises like treasure or mechanics that let me move in a new way and I wished I could keep exploring by the time the 40 minute demo was over. Fitting with the adventurous feel of Ys VIII, combat is quick, fun and very smooth. There are no screen changes between battles and at least in the demo, most foes can be taken down fairly easily in most difficulties. If you like more of a challenge though, there are two hard difficulties that can make foes harder and limit your item use but if you’re like me and it’s either your first Ys game or you want to play quickly, the easy mode featured made this a very relaxed experience and and let me get back to the exploration fun very quickly. The combat was fun enough, even if I wouldn't call it particularly groundbreaking. It's a smooth system that fit in well with the way I wanted to explore, so I didn't mind that it wasn't an overly complex system. On top of a smooth battle system, everything felt very polished overall in Ys VIII, something I greatly appreciated. Switching characters in battle was completely seamless, the music set a perfect mysterious, driving backing for exploration, and the art in the menu UI is so gorgeous it practically pops out of the screen. All of this really added to the experience and made me feel comfortable in its world and I'll be more than happy to keep exploring it at my leisure if I ever pick up the full version. For a demo, Ys VIII really did its job. I originally passed on buying this for another release and this demo made me really question that decision because it was fun to run around in. Although the demo didn't tell me much about the story, what it showed me in gameplay I liked a lot, with a big explorable environments, smooth battles and a lot of polish. Although I still haven't bought it, I am still left with a curiosity for the Ys series after this demo and will definitely try one of Adol Christin’s adventures in full someday. You can pick up Ys VIII at Play-Asia.com! Will you/Have you played Ys VIII? What's your favourite Ys game?